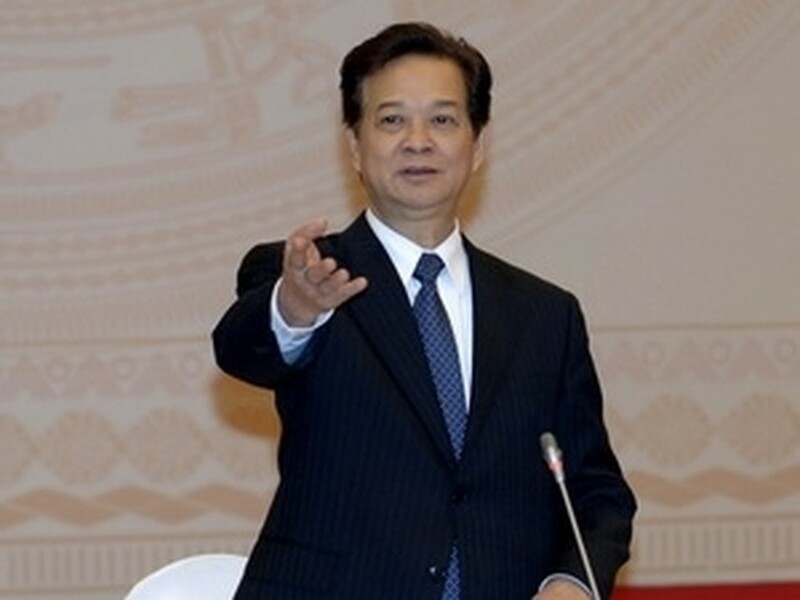 Prime Minister Nguyen Tan Dung has asked State economic groups and corporations to play the core role in stabilising the country’s macro-economy, to achieve a growth rate of 7-7.5 percent in 2011. He met in Hanoi on Feb. 15 with representatives from the State economic groups and corporations that were established in line with the Decision 91 (called groups and corporations 91). To play the core role required these groups and corporations 91 need to attain a growth rate of 15 percent, PM Dung emphasised. They also need to speed up equitisation, better management and supervision mechanisms, apply cutting-edge technologies to increase labour productivity and focus on their main business line, the government leader said. According to the Steering Committee for Renewal and Development of State Enterprises, 20 out of 21 economic groups and corporations 91 made a pre-tax profit of nearly 70.78 trillion VND in 2010. The Vietnam National Oil and Gas Group, the Military-run Telecommunication Group, the Post and Telecommunication Group and the Vietnam Rubber Group accounted up for 80 percent of the profit generated by State-owned economic groups and corporations. For Vinashin, which was currently loss-making due to grappling with a debt crisis last year, PM Dung asked the group to continue with the restructuring scheme he endorsed in 2010. He instructed relevant agencies to draft a decree on special mechanisms to serve the restructuring of the corporation and asked other State groups and corporations to lend a helping hand to the Government and Vinashin to promote the development of the shipbuilding industry. The PM reiterated the Government’s resolve to make the State economic sector play the key role in stabilising the macro economy, curbing inflation, driving the economy to grow higher than in 2010 and ensuring social security. At the working session, many representatives suggested the Government adopt more appropriate and flexible solutions in making economic policies, especially in financial and monetary fields. They asked the Government and relevant ministries to create proper mechanisms to help State groups and corporations raise competitiveness and fulfil plans and goals set for 2011./.